I called Courtney back and left her a voice mail politely asking her to remove my name from their call and mailing list. I then thanked her and said "Go Bulls!!!". The number is Courtney Troyer's extension. Ms. Troyer is the Senior Account Executive with UCF Sales and Service, as listed on their web site. However, you are probably right and it is somebody messing with me. Just not the way you think. Over the years, I've had t-shirts come from Louisville and West Virginia, phone calls from Tulane and East Carolina, and I've been getting the University of Cincinnati Magazine for almost a decade, now. Sounds like you purchased tickets through the school for an away game. I bought Baseball Regional tickets through UF a couple of years ago and regularly get emails about buying tickets and even donating to the athletic department. I never have purchase tickets from UCF. For anything. 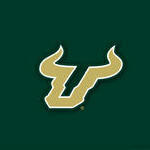 I go to a lot of road games and I always get my tickets through USF. I still get emails from Navy (purchased tickets vs USF) and umass (purchased parking pass). I think that this would be a great opportunity to waste UCF"s money and time. If you have the time, waste an hour or three messing around with them. that's time they can't sell tickets, get donations, or talk to their existing ticket base. We have at least 10k ticket holders right? If each of them just spent 1 hour on the phone with a UCF representative, they would be occupied for the next three and a half years. If each of them just spent 1 hour on the phone with a UCF representative, they would be occupied for the next three and a half years.